TradingView Blog Spanish / Alertas / Alerts for drawings! If the drawing is changed, the alert is automatically adjusted. 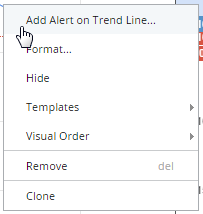 When no longer needed, the alert can be deleted in the Manage Alerts or in the editor box. Note: Drawing alerts depend on the chart resolution, just like the indicator alerts. Stay tuned for more improvements!